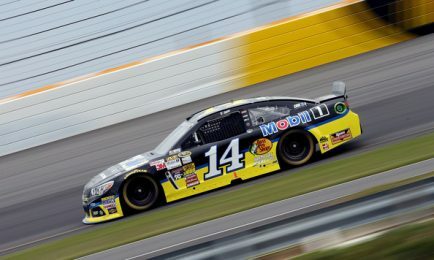 KANNAPOLIS, N.C. – official release — Sarah Glenn/Getty Images North America photo — Tony Stewart has decided not to compete in the NASCAR Sprint Cup Series event this weekend at Michigan Int’l Speedway in Brooklyn, Mich. Veteran driver Jeff Burton, a winner of 21 Sprint Cup races, will pilot the No. 14 Mobil 1/Bass Pro Shops Chevrolet SS for Stewart-Haas Racing (SHR) in place of Stewart. This driver change pertains only to Michigan. Stewart’s plans for upcoming Sprint Cup races have yet to be determined. Stewart skipped last week’s NASCAR Sprint Cup Series event at Watkins Glen (N.Y.) Int’l after he was involved in an accident at Canandaigua (N.Y.) Motorsports Park that resulted in the death of 20-year-old driver Kevin Ward Jr.